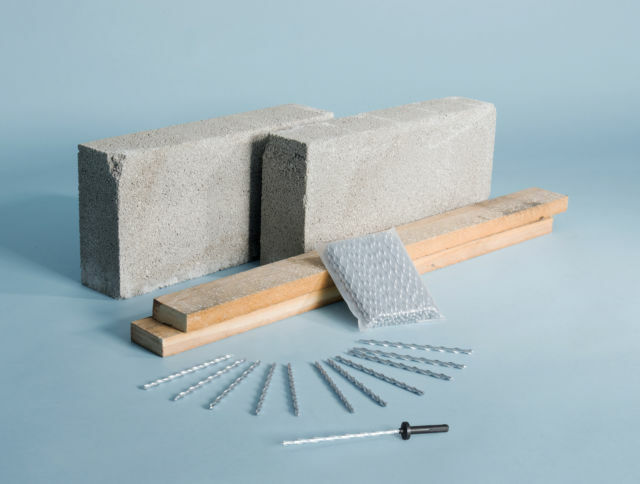 Twistfix thermalite fixings are the quickest, easiest and best fasteners for fixing in lightweight thermal blocks. The twisted fasteners have large work hardened helical blades with sufficient twist angle to windingly deflect and rotate the fixing upon driven impact. The blade edges cut a precise helical path into autoclaved aerated concrete blocks whereby the peaks and troughs of the deep helix interact with the aircrete to create a continuous and reliable physical interlock anchorage that is free from expansive stress and point loadings. 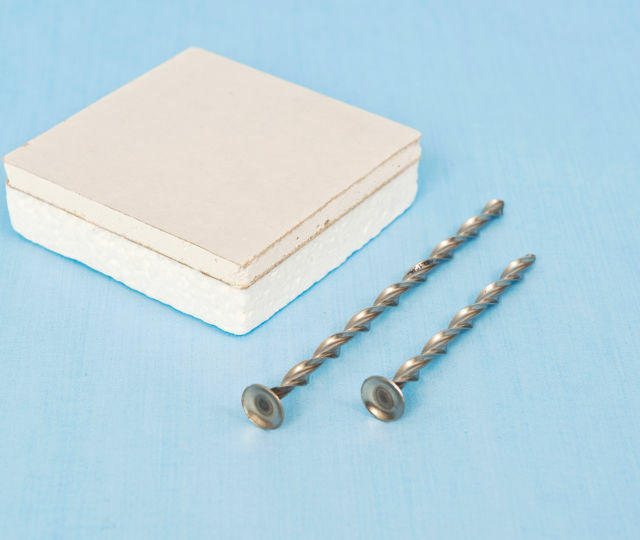 Helical fixings combine great axial strength with a degree of flexibility to deliver a mechanical interlock connection that is not affected by fire or normal movements caused by moisture or temperature variations. 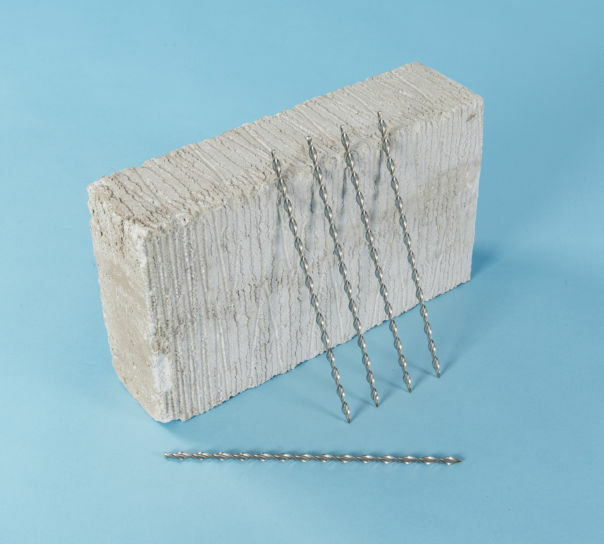 The fixings drive directly into Thermalite, Celcon and Durox blockwork without any need to pre-drill the thermal blocks.